Residential living on the Western Oklahoma State College campus began in August of 1999, when the residence hall opened its doors to students. It consists of bi-level east and west wings, housing a capacity of 96 students. To be eligible for residence, a student must enroll in a minimum of six credit hours. The Residential Council develops social and educational activities for resident students. Residents are encouraged to become involved in these activities to enhance their college experience. The residence hall is equipped with two physically challenged accessible rooms for students with special needs. 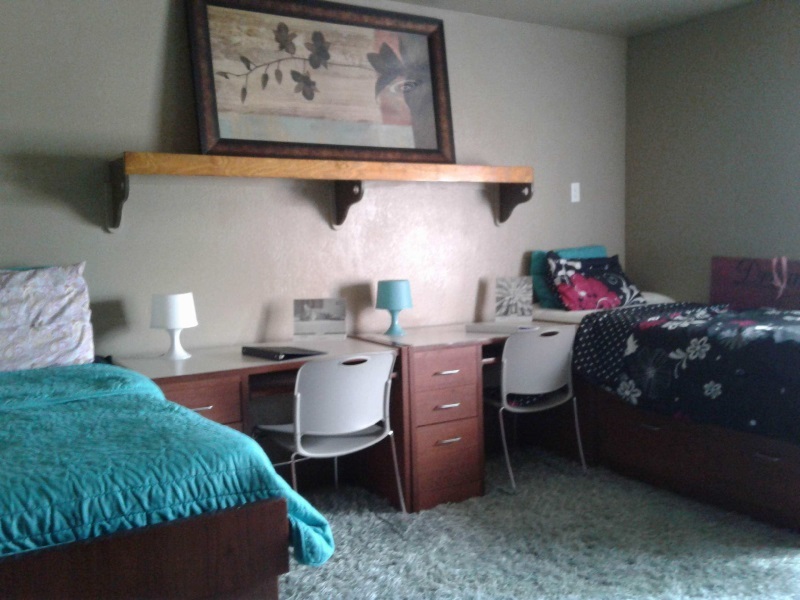 All residence hall rooms are designed for double occupancy with two single beds, built-in drawers, two closet areas, two desks with chairs, two dressers and a shower in every room. Each room is cable-ready and is provided with free basic cable service. Wireless high-speed internet access is available. Contact the technical support office for more information. 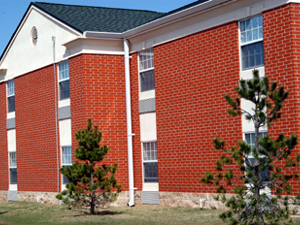 The residence hall is smoke-free as is the entire Western campus. A new dining facility was opened to especially accommodate the dining needs of the residents. Seventeen all-you-can-eat meals per week are included in the housing contract. Vending machines and laundry facilities are also located in the residence hall facility. Click here to download an application to live in the dorm. Click here to download an application to be a resident advisor. For more information contact James.Poe@wosc.edu or 580.477.7945.